Transferring music from iPod Touch to computer or iTunes can feel confusing at first but it doesn’t have to. With the iMyFone TunesMate for your Windows or Mac computer, the transfer can be simple and pain free. Let’s take a look. iMyFone iPod Touch Transfer is a wonderful iDevice sweet that provides you with powerful features for transferring data to and from an iDevice. While having powerful features, they have also managed to keep it simple to use. It is capable of working with not just music but photos, videos, and apps. It supports two-way transfer: iPod Touch to iTunes/Computer, and vice versa. 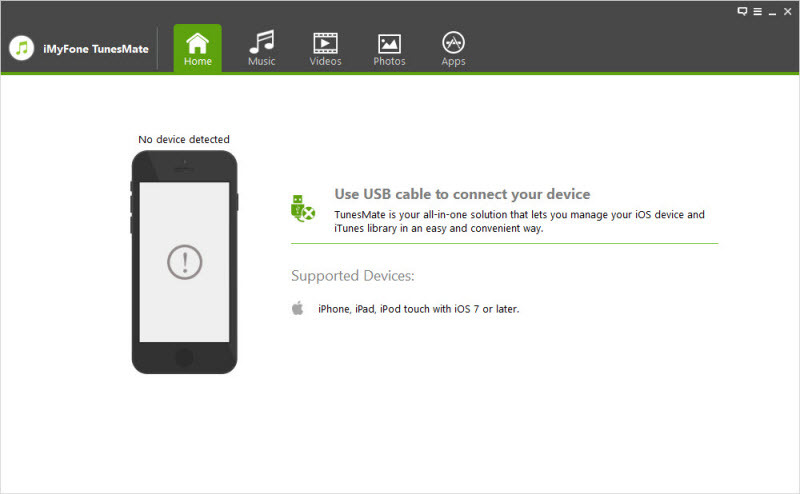 It allows you to transfer music to iPod Touch without erasing any of your previous songs. It supports all music formats, including both third-party music and iTunes purchased music. It allows you to edit the music ID3 information. With the click of a button you can rebuild a damaged iTunes library from your iPod Touch. The first step to getting the transfer started is to start the iMyFone program before any devices are plugged in. Then, connect your iPod Touch and select trust. Select the music tab where you will find a list of all of the music on your iPod Touch. 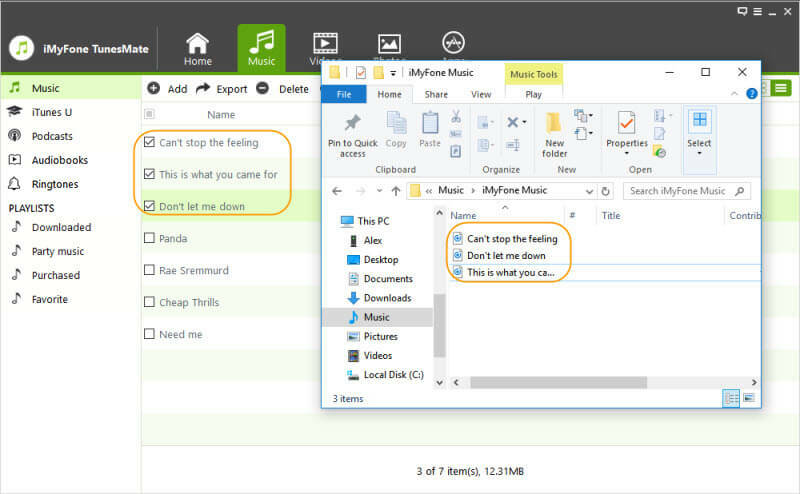 You can select all or individual songs that you want to send to your computer. Once the music you want to transfer is selected, hit the export button below the music tab. Then select the folder that you want to store the music in. You can also transfer music from your iPod Touch to iTunes directly utilizing the iMyFone TunesMate. The process is simple and takes care of all of the hard work for you. 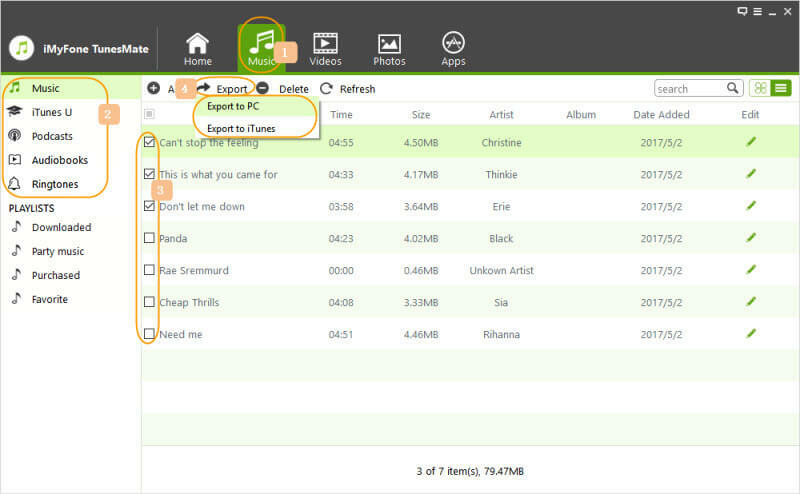 There are two options, you can export all music to iTunes or specific songs, we will cover both options. 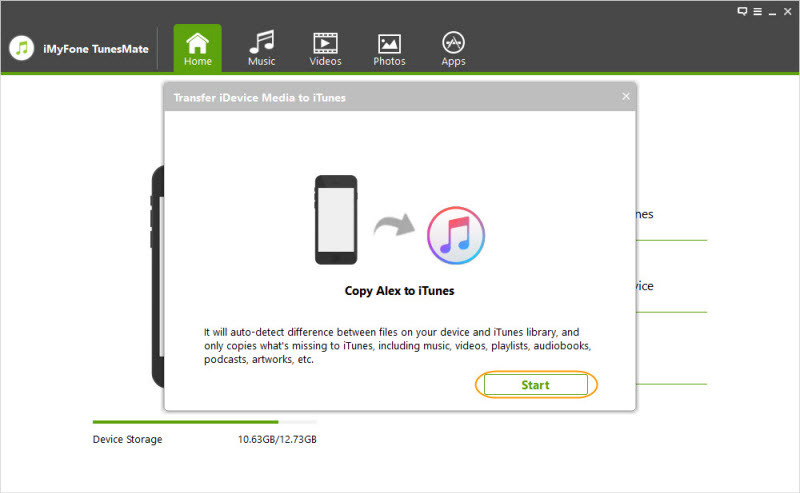 Here are the steps to transfer all music from iPod Touch to iTunes. From the home tab of iMyFone TunesMate, all you need to do is select Transfer iDevice Media to iTunes and follow the prompts. All of the music and other media that you select will be copied from your iPod Touch to iTunes for storage or upload to another iDevice. 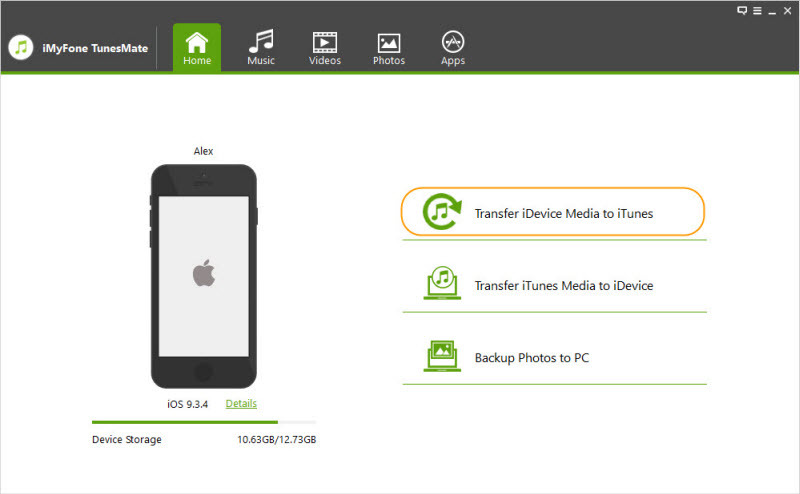 With the following instructions, you'll be able to transfer specific music from iPod Touch to iTunes. 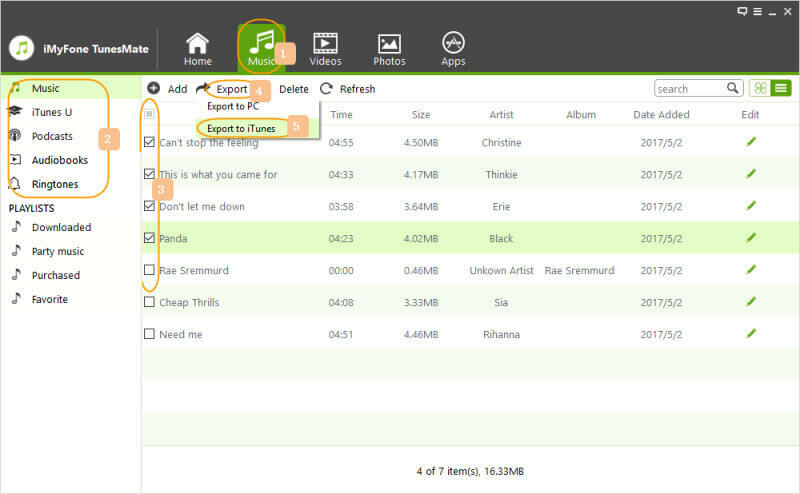 Under the Music tab, select the specific songs that you want to transfer here by clicking the checkbox next to them. After going through your music and selecting all the songs you want to transfer, click the export button. Select Export to iTunes. All of the music you have selected will be transferred from iPod Touch to iTunes.